Last year, we started a new way to feature your inspiring work that also gives you the opportunity to win our fabrics, but THE BEST PART is that we all get to know a little more about you! By encouraging makers to post their sewing projects using our fabrics via their social media using the hashtag #AGFMakerMonday, we get to see how talented you are and all the amazing work you all do! 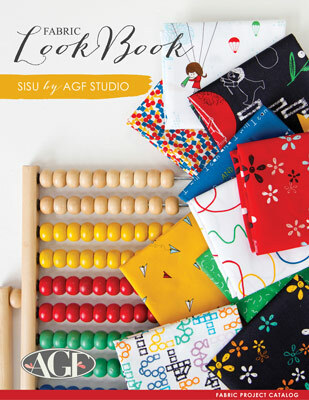 Once we decide on the winner for the month, the maker receives a feature here on our AGF Blog AND of course...they win A 20-PIECE FQ BUNDLE of our fabric, based on their personal preference. Meet this month’s featured maker, “Melanie Call!” Based out of Washington, she’s a super mom and pharmacist by day, and a quilter by night. She calls herself a “total math and chemistry nerd,” which definitely comes in handy when she’s designing her quilts. Melanie loves to combine both “modern and traditional” designs, and “loves big block quilts, so the fabric can shine!” Check out her quilty skills and a special interview we did with her. 1. 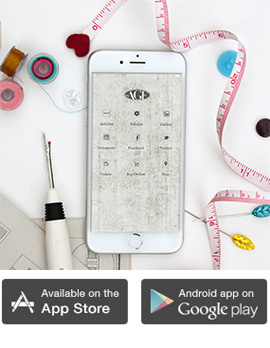 Can you tell us a little bit about your background and how you first started sewing? Hello Art Gallery Fabric Friends! I’m Melanie Call and I’m so excited to be here today on the AGF Blog! I’m married to my high school sweetheart and we have 3 amazing kids, plus I work as a pharmacist - total math and chemistry nerd here. Fabric has become my relaxing and creative outlet and I LOVE it! I began sewing about 14 years ago when a group of girlfriends and I started trying all sorts of crafty projects while our husbands played video games. :) We decided to try sewing so I bought a basic sewing machine at Costco and started sewing flannel receiving blankets and my first quilt. In no time, I fell in LOVE with sewing and quilting! Soon, I joined a local quilt group, upgraded my sewing machine, and began making receiving blankets, quilts, and bibs for my future kids. For the past 2 years, I have been sewing/quilting almost every day! My kids call it “Mom’s fabric-ing time." I love sewing in the morning before the kids wake up - it is so peaceful and relaxing! It’s the perfect way to start my day! 2. How do you often approach a new sewing project? Fabric is my inspiration. I choose fabric that makes me feel happy and design or choose a project that fits the fabric. Only 10% of the time, I will choose the project first then select the fabric. I love being able to have the fabric in my hand prior to choosing the project - plus have you felt AGF….it’s soooo soft! When I’m designing quilts, I use Electric Quilt 8. I love being able to add in the fabric swatches so I know what my quilt will look like prior to making it! Inspiration is everywhere! I’m a very visual person so I love noticing patterns when I’m shopping, at work, or outside. 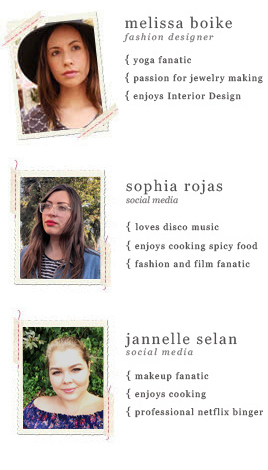 I also love reading blogs, Instagram, magazines, and books. My favorite inspiration is the fabric itself! I find if I’m stumped on a design- I open EQ8 and start playing with blocks and soon enough - ideas start! Similar if I’m stuck on a project - I just start sewing patchwork blocks as patchwork makes me happy and motivates me. 4. How would you sum up your design style? Modern Traditional - plus I love big block quilts so the fabric can shine! 5. 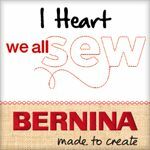 What's was the best sewing advice even given to you? Sew what makes YOU happy! 6. What's on your "sew list" for 2019? - Crossbody Bag. I need a new one! 7. Name 5 things you can't live without in your sewing room. 8. Where can other makers' find your work? Since Melanie said she loves anything "florals, purples/magenta/navy, AGF designers Katarina Roccella, and Maureen Cracknell, we made this personalized, 20-piece bundle for her! If you want to be next month's - "March's Feature," enter a chance to win and be featured by tagging us in your work using the hashtag #AGFMakerMonday and we just might pick you! A big THANK YOU to Melanie for taking the time to chat with us, and thanks to everyone else who participated this month!